Mark Brewer is the President/CEO of Central Florida Foundation. Central Florida Foundation is the place for people who want to invest in their community. The Foundation serves as the region’s community foundation and is home to more than 400 charitable funds. He was selected as President and CEO, and joined the Foundation board of directors in 2000. The Foundation manages and invests funds, offers personalized service and expert giving advice, connects caring people, businesses, governments and organizations to local initiatives that build and inspire community, and empowers them to make informed decisions that make a difference now and in the future. Central Florida Foundation works with individuals, families, businesses, professional advisors and nonprofits. Mark has earned respect for his ability to build community partnerships that meet issues head-on and produce measurable results. He has worked with hundreds of individuals, families, and corporations to establish philanthropy plans, endowments, funding strategies, and planned gifts. More than 100 regional nonprofit boards have enlisted Mark’s assistance through the Foundation with strategic and scenario planning initiatives that included the use of endowed investments to sustain their organizations. He is a well-known national speaker on the independent sector, philanthropy’s role in America, venture philanthropy strategies, and the role of the independent sector in public policy. 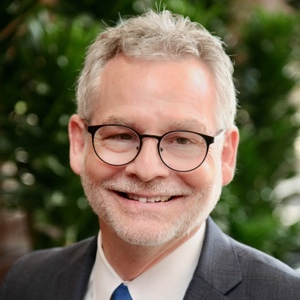 In his leadership role at the Central Florida Foundation, Mark frequently advises private and corporate foundation grant-makers across the region. Mark began his career in the media as a reporter, anchor, and journalist. His background includes more than a decade as a management consultant in the private and independent sectors, leading merger and acquisition strategies for cross-sector initiatives. Later, as a licensed investment professional, he assisted clients with estate and planned giving strategies. Mark holds a Bachelors Degree in Business, a Masters Degree in Public Administration with a specialty in Nonprofit Management, is a Chartered Advisor in Philanthropy ®, and is a candidate for a PhD in Public Administration with a specialty in Policy and Law from Walden University (Expected 2017). Mark plays a leadership role in a number of national and community initiatives. His service focus is with organizations that grow philanthropy and play roles in strategic grant-making and public policy. At the national level, Mark chaired the Community Foundation Services Corporation, which oversaw the Merrill Lynch Community Charitable Fund, a national donor advised fund partnership. At the state level, Mark is a past Chair of the Florida Philanthropic Network, a statewide association of grant-makers working to strengthen philanthropy through research, education, and public policy and serves as Chair of the Community Foundations of Florida, the statewide association of community foundations. In the Central Florida region, Mark serves as Chair of myregion.org, identifying and measuring progress on issues and challenges that affect the Central Florida region’s future, the Advisory Board of the Donors Forum, is Vice Chair of the Heart of Florida United Way Investing in Results Council, and plays a public policy role on the boards of the Central Florida Partnership and the Central Florida Commission on Homelessness.